So I wanted to do a quick check in today and tomorrow before 2010 gets away from me entirely. Well, I ought to be able to admit it got away from me. But hey-- didja see all those game reviews I wrote in October...and then got burnt out. So in any case, tomorrow I want to do a little look back at my gaming in general for 2010 and what I want/have planned for 2011. But for today I want to go entirely non-role play. I'll come back to rpgs tomorrow. I'm a fan of several streams of 20th century Classical Music, and some forms of experimental music where it moves over more into a kind of fusion or rock. For the latter category I'd cite my love for Godspeed You Black Emperor, Turning Machine, Mogwai, Explosions in the Sky, Steroid Maximus, Russian Circles, and so on. I like a kind of wall of sound and more classical approaches-- probably why for Jazz I like things like both Brubeck and Medeski, Martin, and Wood. I think I really prefer my music in general to be a little transparently evocative. That means some dissonance and some emotional force to me. So I follow a lot of movie, TV, and game soundtracks-- many of which I use at the game table. I'd say about half of the film soundtracks are immediately forgettable, and about 2/3rds of the game soundtracks if not more. But every once in a while you hit something like ChronoCross or Shadow of the Colossus, either of which I could listen to again and again. My favorite classic composer, Shostakovich, often gets dismissed as sounding soundtrack-y but I consider that a compliment. Which leads my to talk about some more contemporary classical music I quite like. I got spurred to this my hearing that Michael Daugherty received a Grammy nomination for a new recording of his Metropolis Symphony. I owned a previous recording of that plus a number of other pieces by him-- which I'd oddly just been listening to when I heard about this on NPR. So I thought I'd do a quick run down of his work that I've heard and a couple of the other people I tend to associate with him. Metropolis Symphony/Bizarro Suite (Baltimore Symphony Orchestra; Zinman) This is an initially jarring piece of work. It uses a number of odd instruments including a siren and police whistle. It keeps moving forward as a piece-- though I can't really say that as a whole it gels for me. It remains fun to listen to. For some reason I'm reminded of those animated CBS Children's specials, like A Cricket in Times Square. There's something about the music that sounds the same to me. It is a loud and brassy piece. The Bizarro Suite on this recoding takes some of the themes of the symphony and reworks and inverts them. That's a nice touch. Metropolis Symphony/Deus ex Machina (Nashville Symphony; Giancarlo Guerrero) I haven't listened comparatively to this performance of the symphony versus the earlier one. Based on timing, Guerrero takes things a hair faster in the movements, except for the final one. The other piece on this, Deus ex Machina, is a kind of piano concerto. I haven't read any notes on it, but based on the titles and the sound it seems to be draw from the sounds of trains-- the mechanical rumbling, the movement, the turning of wheels. I really love it. The second movement seems to incorporate a variation on Taps that is amazingly lovely. It might be a Copland reference as well, I don't know. I'd recommend this recording of the two just because you get more here. I got mine as an mp3 downloard from Amazon for $5. Spaghetti Western (from a concerto collection, University of Michigan Symphony Orchestra; Kenneth Kiesler) This is a concerto for English Horn and Orchestra. I adore it. He lifts the feeling of the Ennio Morricone themes from movies like The Good, the Bad and the Ugly. But it doesn't feel like a direct reference or just an homage to me. It is a fun and listenable piece that pulls many flavors together. Fire and Blood/Motor City Triptych/Raise The Roof (Detroit Symphony Orchestra; Neeme Jaarvi) I'll confess I haven't listened enough to this album to really pull together a solid and specic opinion beyond enjoying it. Its a live performance-- with the crowd applause after which seems to be “in” right now for recordings. I like it. Raise the Roof reminds me a little of the most animated John Adams works. There's also a really feeling of Americana here-- not the broad and majestic pictures which Copland creates, but one of solid and gritty early and mid-20th century America. Perhaps I'm ascribing too much-- I haven't read the liner notes (one of the drawbacks to buying mp3s through Amazon). Philadelphia Stories/UFO (Colorado Symphony Orchestra; Marin Alsop-- with the amazing Evelyn Glennie on percussion) The first piece owes a great deal to Stokowski who, with Bernstein really helped shape classic music performance in the mid-20th Century. The third movement references him by name and I've seen it recorded by itself as a performance piece. Philadelphia Stories is fun, clean and listenable. On the other hand, UFO presents a real challenge. It is a kind of complicated concerto for solo percussion and orchestra which uses many, many different sounds-- at times supremely discordant. The final movement speeds through. I have a hard time wrapping my hand around it as a whole piece but I do enjoy listening to it. Daugherty's a good ways away from some of the more narrow and completely dissonant forms in 20th Century music. He doesn't echo any of the minimalism of Philip Glass or even John Adams. There's more a Charles Ives in there-- but without being awful like Ives is. There-- I said it. He's more listenable that some other 20th century stuff (to me at least) like Boulez, Messiaen, or Carter. I will note that he's routinely criticized for being kitschy-- and that may be why I like him. I've just about hit my self-imposed 1000 word limit-- so I'll deal with the other composers in another piece later. Tomorrow an rpg overview for 2010 and 2011; then my first game review of the new year on Saturday (I hope). So begins the busiest week of the year for me, between two all-day food-based major events to put on, plus two game sessions to run. So: back next Monday with the second part of my thoughts on Spy Games. I'm a fan of espionage movies and stories, of all stripes. I grew up reading LeCarre in grade school and Ian Fleming in middle school. My sense of what rpgs could do opened up when I first got a hold of Top Secret. I'd played some other things, but TS was the first time I really started to build an imaginary world for play. From there I went on to superheroes, fantasy, and eventually back to spy games when James Bond came out. People wax nostalgic about early D&D modules, but for me it was the Q-Manual and Operation: Orient Express that really stand out in my memory. At some point I'd like to run a good espionage game which has something of the paranoia of the Cold War era, the procedural elements of a good investigation, and the action chases of a superspy thriller. Yes, I want all of that in a single game. I'll admit I'm a little rusty on the genre- with Bourne, the first season of Chuck, and the newest James Bond films as my only recent touchstones. I missed most of Alias, Mr. & Mrs. Smith, anything technothriller, RED, only saw the first Mission Impossible movie, etc. I want something that bottles most of that lightning. One problem is that a spy game has to be able to handle the idea of a group-- rather than of individual super agents. In that sense, it works best with something like the old Mission Impossible series, rather than the newer version. Seemingly ensemble works like Alias or even Archer has central PCs and some NPCs along for the ride. I will say I can imagine a Fiasco playset built on the premises of the Archer cartoon (someone get on that now...). You have a couple of options for approaching that, with the most classic version being a simple caper operation: think The Italian Job. However I like the idea of the group as a well-oiled machine carrying out perhaps the preliminary work for an operation in which the main Agent gets inserted. There's a version of a Witless Minion campaign I can imagine has the players as desk jockeys and technical people making sure that the main character ends up looking flawless in the operation: you can have that NPC more or less sympathetic depending on how much humor you want in the game. I think more interesting, and something I've played with in the past, is the idea of agents who go in to do the follow up work after a mission, successful or not. They tie up all of the loose ends, pay off local authorities to keep things quiet, arrange to smuggle contacts out of the country. They're also literal cleaners-- taking apart safehouses, sanitizing an agent's hotel room, cleaning up the scene of a brutal gunfight. They're like CSI in reverse. How to keep things under wraps and avoid detection would be the main drive of the plots- as would finding themselves caught in an operation which hasn't quite closed. I used this format with a Conspiracy X convention scenario. The PCs have been sent in after a first-tier agent teams says they've finished up their op and have a witness who needs to be memory wiped. They arrive to find the team missing and one agent gone rogue and have to track back from there. The concept works especially well in ConX which has the cool idea of Pulling Strings and those resources. While that cleaner set up works for conventional situations, it has more appeal in even more excessive ones. A standard operational game that suddenly goes off the rails could be the introduction to a Delta Green, Conspiracy X, Esoterrorists or straight Call of Cthulhu game. Perhaps in the sanitizing process they come across even more awful things, horrors man was not meant to clean up. They then try to contact their secret agency, only to find out they've been left out in the cold. Given the toolbox provided by the new Hunter the Vigil rpg, I can imagine that being a great jumping off point for a certain kind of band. Another version of this has the players on clean-up duty in a world of supernatural espionage and Conspiracies-- so think GURPS Cabal, Men in Black or even the forthcoming Night's Black Agents (by Ken Hite, for Gumshoe). Here the PCs have to clean up the mess from supernatural events, hide an ongoing war between psychics and the government or keep down the spontaneous summoning of demons from the internet. We get a little far off the espionage track there but it still fits. It does begin to raise the question about what defines a Spy or Espionage game. What makes it different from your standard detective game, procedural game, or pulp action game? It shares many of those base elements-- investigation, chases, social engineering, conspiracies, gritty heroes. Again, though that depends on the flavor of the spy genre being invoked-- there's a world of difference between James Bond, Jason Bourne, Jack Ryan and George Smiley. I'd honestly say its a cosmetic consideration- affecting the scope and scale of the game. The classic spy game has a greater range of locations, has a better support system for the players, has grander scale issues and consequences. But again I'm speaking of “Spy” games with a capital “S”. I think to really do justice to this kind of game and get the players involved the GM would have to buy heavily into those tropes, rather than presenting a revisionist take on them. For example, I love the structural ideas of Global Frequency by Warren Ellis (interestingly the same guy who brought us the recent RED). You have missions with experts assembled specific to each mission. It feels like a spy game to me or at least a kind of technothriller. I'm not sure how you do that game and still manage to give the players a continuing narrative focus, i.e. character. You could give them a stable of characters, but then they don't necessarily build an attachment. On the other hand there could be PCs and they select from a load-out of NPCs to take with them. I assume, actually, that's how the never produced TV series of Global Frequency would have worked-- audience identification with key characters being as important as PC attachment. But I've spun a little off track in my ruminations. I'm going to continue this in my next post. I've mentioned before that I created a significant campaign prop for our Changeling the Lost campaign, "The Wayward Notebook." 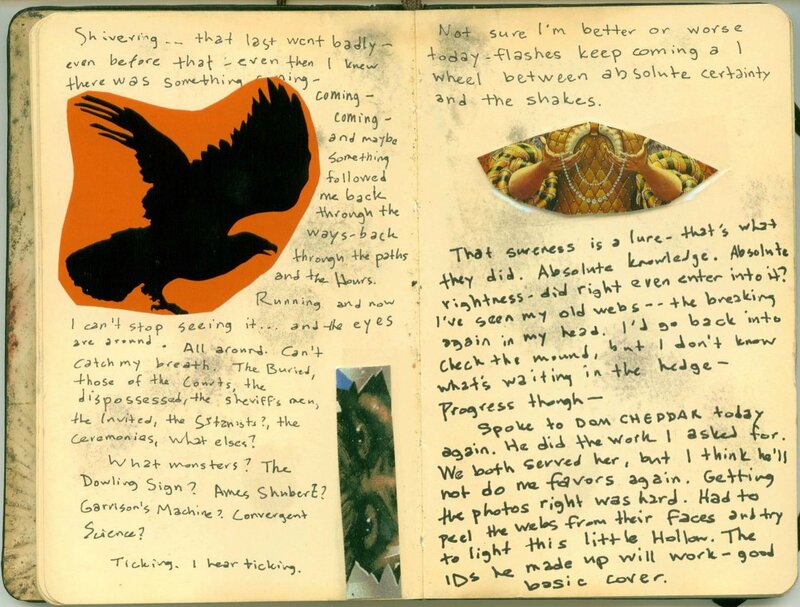 After our house fire, I found a small Moleskin notebook which had been distressed by smoke and water. The pages remained relatively legible. I set that aside for later use and came back to it when I decided to run Changeling the Lost. I'd tried before to create a campaign notebook prop. 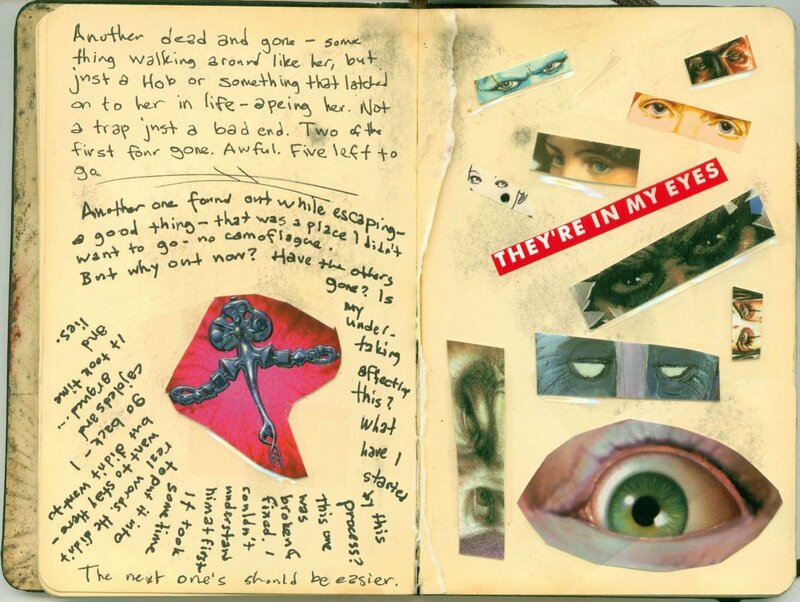 In particular I'd gotten quite a ways on a travel journal for a fantasy campaign. I'd hoped to have a group use it to retrace the steps of a lost party or traveler. However I never really pulled that together and as I rolled forward with my other campaigns, it got dropped. Part of the problem was that I got overly ambitious and wanted to write an entire folio. So I killed my own enthusiasm by shooting too high. On the other hand, the Wayward Notebook ended up slightly more modest. You can find and download the pdf of that prop here. I want to look at my objectives for the notebook and how those have played out at the table in the two+ years the game has been rolling along. We've had some changes in player line-up there but we've continued through. I should note we use the Changeling the Lost setting with the system ideas (Contracts, Seemings, Pledges, etc) hacked over into our house Action Cards system. I started the mechanical adaptation after I'd done some campaign prep work. I have a couple of approaches to campaign building-- for example for my Wushu game, the New Orleans supers campaign, and my Exalted Dragon Blooded game I focused mostly on worldbuilding, writing up background, places and people for the players. In these cases I wrote up and sent on that material ahead of the campaign to both whet their appetite and give them a sense of the setting prior to play. In these cases I did very little pre-plotting or campaign arc building. I had the general sense of the place and the kinds of stories I wanted to tell. I had a few specific small-arc stories in some cases, but the bigger campaign story remained pretty nebulous. On the other hand, for Changeling my prep ended up more thematic and sketchy. I directed the players to look at the general background of the setting from carious online sources and gave them some mechanical notes. I began by just brainstorming ideas- a page on places, a page on themes, a page on throwaway details. After I'd done a half dozen pages of sketches, I used my card-draw system to build a list of NPC elements. I filled in a few of those based on what I'd already developed. I then did a page or two of some campaign specific themes and stories which had occurred to me in the course of this. I was starting to get the sense of what could serve as a larger campaign arc. I'd done the same kind of prep work for the Scion campaign, reading and watching stuff on Las Vegas and building thematic notes. In the case of the Wayward Notebook, I stopped partway through doing those sketches and decided to go ahead and put it together. I had some ideas, but I decided to wildly write things down and assemble pages. I had various stickers, torn out magazine images and other bits to use. I also had some card sets which I could cut out images from, a set of the Everway cards and the old Changeling the Dreaming cantrip cards. I snipped a bunch of things out into a pile and worked from there. From that randomness emerged the three Courts, the relation of the senior patriarch to his children, several NPCs, nine as a significant number and the images of eyes and watching. I'd mix it up between laying down pictures and writing around them and writing something and then pasting a picture in. I intended to work in some of the ideas I'd already come up with, but that ended up a small fraction. Most of the material came to me in freewriting, creating a set of ideas and things which I figured I would work in later. So I hoped to be able to generate more ideas and things to riff off from in play. In that respect I've been moderately successful. I've brought in a few of the possible adversaries from that. I've also connected some of the plot developments to ideas I laid out there. What it really did was help me get a sense of the structure of the NPCs within the city. Since the book only has code-names for people, the players had to figure out who was who. It helped me also think about the implications of Clarity loss on Changelings and what that might look like from the outside. I think the book also helped establish tone-- both for the players and myself. Of course now I've seen The Armitage Files which takes the idea of props like this and spins those into a pretty amazing campaign. In my case the players got found the notebook on the corpse of the man who had apparently managed to rescue them from the Hedge. That incident and the notebook would provide me with the big two arcs, and pretty much the only plot plans I had at the start of the campaign: Who had murdered their rescuer, Mr. Charlotte? What was significant about their group who had been stolen from the campaign city of Wayward? The Armitage Files, on the other hand, presents an even more open approach for multiple GMs to come at the same material and end up with different campaigns. It also suggests a wholly improvisational approach. I'm pretty free-spinning, but I'm not sure I could do that. In any case I'm still pretty happy with the Notebook as a prop and I do return to it from time to time to recenter myself on the theme and look for details I haven't yet mined or connected. 1) Multiple copies of the prop. I'd only made the single copy. I later scanned and made a pdf of it and we put it on the campaign wiki. However only having one copy at the start meant some people didn't get to look at it and some people ended up reading things off with the others listening. I should have had color or even B&W copies available for everyone to read. At the very least I should have had some kind of text transcript ready. 2) Which brings me to my second point. I sort of blew it by making it clear that this was all there was notebook-wise. It would have been better to have something more open ended. In our Fallout campaign, the radioplay prop the GM created for the first session is clearly going to be a repeated device. I played in a Hunter game in which we found a tape recording of another Hunter. There was the suggestion there that we would find other recordings later in the campaign but we never did- and most of the material on that tape worked for the first few session and then petered out. Ideally I would have had a smaller section of material, just a few pages. That would have pushed them to hunt for the other bits and been a more manageable chunk for the group to absorb. I could have had them find the pieces out of sequence or even with gaps. In a sense I threw away some really interesting storytelling opportunities. More importantly I lost some tricks which would have allowed call backs and reinforcing themes. That would also have allowed me some space to build a first part and then tailor later parts to story events. That's a bit of a cheat in a Lost way. There's a certain honesty and challenge to providing the notebook ahead of time and then trying to nudge things to match that. 3) Related to that I should have given the notebook and copies out at the end of the first session. As it was I gave it out but had them hold off on looking at it. That avoided the problem of it distracting the players during the game, but it also made them wait and blunted the effect of the prop. That could have been planned better. Bottom Line: Creating the notebook took about three evenings worth of work. I'd say the pay off has been pretty good. I would definitely do something like that again. *Propnomicon presents some discussion on the fine details of aging paper for use as a prop. *Vincent Baker (Dogs in the Vineyard, Apocalypse World) watched a glut of horror films for October and then broke down some of the elements. *This is an interesting blog post against summing up and reducing elements at the table. I think it comes out of games where that kind of compression is the norm- make a skill roll and move on- whereas we play more in the other direction. We decompress most things and the exception to the rule comes in moments of handwaving which are less interesting or fruitful for plots. *Game Chef does an annual competition for game submissions based around a set of themes. This year those were City, Desert, Edge, and Skin. I've been putting those in the RPG Geek database which has meant reading through most of the entries (I still have the last dozen plus to read). There's some really wild stuff there. If you're interested in game design and crazy concepts it is worth looking through those. 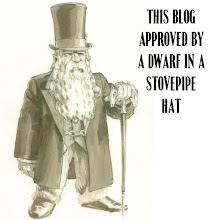 *David J Rodger gave me a nice shout out on his blog. His Yellow Dawn rpg, set in a post-apocalypse world with a very specific Cthulhu Mythos god having won sounds interesting-- Hastur's victory in Yellow Dawn. I like the idea of that- a narrow focus on one of the thematic gods of the stories. Of course I'm imagining a hack of that with Apocalypse World. *The Campaign Mastery blog has the second part of an interesting series. One of the classic approaches to game analysis is coming up with archetypes for characters. This series is trying to build a new set of approaches to that. I think it is worth taking a look at. *Applying Herman Hesse to the FATE system. *I would run or play in this Exalted campaign. I'll leave that at that. So I want to go at this pretty much from memory. I could pull the books down or more reasonably/ go out and check the various interwebs to get all of the details. But then I might find out I'm wrong about something. And I don't really want to sweat the fine crunchiness of this too much- instead I'm working on impressions. I'd had a particular campaign hack in my head for some time. Then a thread with a great related idea popped up on RPG Geek. That's worth reading. In a nutshell it proposes a Call of Cthulhu-like campaign with players stumbling into a world of dark magic, and then eventually finding their way to Hogwarts-- having been led there by a trail of the slain left by the Death Eater factions and the big war. Voldemort and his crew look like evil wizards to the muggles, so why shouldn't there be a few crusading muggle investigators just now putting the pieces together. Related: My earlier discussion on running school-centered campaigns. I love hacks which take an existing idea and consider what it would look like to an outsider or a newcomer. I used the rabid craziness of the Unknown Armies setting not as the primary place for the PCs, but as something they came into contact with and gradually learned about. The Promethean line from the new World of Darkness seems more than a little unplayable as a campaign. However those ideas make for great NPCs. In a Vampire campaign I used a classic Hunter the Reckoning character with all of the classic social/psychological problems given by their origin as a foil. It took them some time to figure out exactly what was happening with that character. In the cases I'm citing it works in great part because most of my players haven't read that material, so the revelation and pulling back of the curtain works as a nice surprise. I wonder how long you could sustain that uncertainty before you'd reveal the Harry Potter connection in the game? There are some other great suggestions in that thread as well. Let me begin with a few things drawn from my recollection of the Harry Potter books. A set of details and premises, if you will. *The history of wizards certainly stretches back some time. We have a catalog of history in the form of the book of somewhat Medieval tales handed off to Hermione, in the last book. I like to think of those as a childrens' version of the Canterbury Tales for Wizards. *We have a lengthy history of wizards hidden from the Muggle (mundane) world. *We have a continuous history of some families and lines involved with the practice. *We have several major sites for these schools- Hogwarts in England, plus the clearly French one and the German/Russian one. *We have a founding of the Hogwarts school coming from the gathering of several like-minded wizards who came together- Gryffendor, Slythern, Hufflepuff, etc. *Wizards use a faux Latin to cast their spells. So there's a particular reading on the history that has Ars Magica as the precursor to the modern magic of Harry Potter. Hogwarts (and the other two schools) end up as particularly focused and specialized covenants. One can imagine that places like the Ministry of Magic HQ and the like grew from those as well. As the world in general moves to higher levels of communication and specialization, and out of the decentralized and feudal systems, the Covenants of Ars Magica would have to make like changes. One of the most important, of course, being the break down of the classic Apprentice/Master/Guild system. However I imagine that probably hung around for a good long time. Perhaps Hogwarts and the others went towards a radical practice of training wizards in the rudiments before sending them out to be more formally apprenticed. That would explain the evolution and difference. *What about Vis and the energy requirements for some magics? Wands easily answer this question. At some point wizards managed to discover some kind of energy system which could be tapped into. Specialized devices were required leading to the creation of wands. Some resented that development, regarding them as a crutch. Eventually they wold become so integral to casting that most would regard them as an essential tool. *Wizardy's at least partially genetic in the Harry Potter books? Which remains one of the things I kind of dislike about them. There's some of the midichlorian problem in this. However HP does assume that the talent does appear in Muggles, or Mudbloods as they call them. So lets assume that there's some factor for the inheritance of magical talent. A discovery of that nature might have made for some significant inbreeding or arranged marriages within the Wizard community. Certainly there's the suggestion of that being a problem by the time of the HP books-- that some of the most potent families fell because of that kind of limited genetic pool. I think in general this could be a non-issue unless you wanted to make an arranged marriage a plot device in a campaign. *But how do you get the spell system to work? By the modern era we've got mages existing in a bureaucracy. The focus has become working with existing techniques and mastering those. We don't have any particular sense of the wizards creating new kinds of magic-- except for very old and wizened characters. I'd argue that the old system of spells got transformed into a more literal shorthand-- which in turn became the key and accepted form of magic. Essentially wizardry in the Harry Potter universe of modern-day is a more ossified version of the craft. Because they cast magic based on a particular kind of power source and approach, they've limited their powers. *What about Twilight, the Seasons, and all of that Ars Magica chrome? If you're running a historical game, then these elements could be applied. However it could be easily argued that developments of larger and tighter multi-Covenant organizations would be able to keep down instances of Covenants falling into disrepair and decay. At the same time new developments in the thinking about therapies and treatment might allow the wizards to be more proactive and efficacious in dealing with those who might be going off the deep end. *The Founding of Hogwarts-- not the literal one, but perhaps the generation after Ravenclaw and the others founded it. The place still looks a lot like a Covenant. But there's a slightly different approach in that they're not focused on research, but on teaching a larger number of students within each house. Perhaps the PCs start as students and then become instructors. You'd have suspicion and opposition from other places-- bringing in the conventional Ars Magica Houses (Flambeau, Ex Miscellania) as details. One could weave those threads together. You could also tell stories about how the grounds got established and the like. Perhaps there could be some interesting focus on how other traditions became integrated into the larger world of wizardry. I love those kinds of transitional stories and you could really mash the two together. I'd assume this would be set sometime in the Early Modern Period, perhaps even the English Civil War or after. There's a great potential mash up if we have the Musketeer period and details as well. Depending on your historical interests, you could set this in a number of eras. *The Continental War: Taking a page from Jonathan Strange and Mr. Norrell, perhaps early or proto-Hogwarts has to consider its position when war breaks out between England and France. Napoleon has installed a sympathetic headmaster at Beauxbatons and eventually they become involved, even bringing Durmstrang into the fold. The Ministry of Magic, still in a proto-stage becomes divided. The players must try to keep Hogwarts neutral or in another kind of campaign, they become agents on the continent, trying to rescue sympathetic wizards and bring them to England. *Against the Ministry: We have to have some pretty dark episodes in the history of Magic. There's indications that early wizards took pretty significant liberties with things- consider the Centaurs' reactions, the House Elves evolution into servants. Azkaban wasn't built for Voldemort; it existed long before that. They had rules and restrictions in place which seems to suggest other dark periods. Even the youthful days of Dumbledore's he was thinking about power. As presented, this seems to harken back to a time when wizards strode the earth with some mastery. Perhaps wizards of an earlier period did exert dominace over a Muggle populace. So it could be very easy to run a campaign, borrowing from Ars and in the HP universe with the PCs working against a dark “Establishment” in the Ministry of Magic. On the other hand, one could also make an argument for Mage: The Sorcerers Crusade as a source. However in that case you'd have to come up with a fix which deals with the questions of the cosmology and the whole Reality War. My solution would be two-fold but built around the idea that both sides essentially lost in the war. The order of Reason eventually achieved their goal of creating a single static reality, but in the process rendered themselves mundane. They became the non-magic scientific and intellectual Muggles of the world. The Covenants, on the other hand, also lost the ability to see multiple paradigms. They fell into rote and became conventional spell-casters operating under a very limited set of strictures and rules. No longer do they reshape reality, but instead work through spells and rules. I'm not sure what's gained by this approach, but if someone had a particular attachment. OK, I take that back. Here's another wild “What If” HP game which comes out of that. Let's say that the Reality War ends in a stalemate- with both sides having written themselves into the corner. Then a plot for a modern Harry Potter game could be students discovering some discrepancies in the history of the Ministry and the Wizards' order. Eventually they discover that wizards once had access to wild and crazy powers-- and could reshape reality. The magic they practice today remains a pale shadow of that. Essentially, the order of Hermes rose to become dominant. The players start to seek out that magic, possibly opposed by the Ministry of Magic who believe it could undermine the powerful structures they work from; Deatheaters might be seeking it out to revive their lost master; perhaps their remain a few avengers of the Order of Reason/Technocracy who would seek to stop them-- and what about Paradox itself? OK, I'll admit to follow that you kind of have to be a Mage: the Ascension or Sorcerers Crusade goober, so let's return to the main idea. Let's also consider that we don't see anything of the New World in the Harry Potter books-- for good reason. Much like bringing in considerations of the whole wizard natural superiority vs. Muggles thing, America brings up some interesting questions about history and time. So let's consider a couple of hacks or versions of this. One approach would be to present a newly founded school campaign in the New World game, with the late 18th or early 19th century as a target. We probably have a facility located somewhere in New England. A grand mansion in the woods or perhaps a castle carried over brick-by-brick from Scotland. Some things which have a distinct character, like Elizabeth Bear's New Amsterdam and Caleb Carr's The Alienist, are probably set too far forward. We could go even Midwestern, with something like the community of wizards suggested in John Bellairs' The House with a Clock in Its Walls. I like the idea of a Minnesotan school for wizards at the turn of the century or earlier. If we want to go further west and up in history, then consider a school in California-- with some of the influences of the old west. There's that late gold rush period and the building of various scholarly institutions there. While a little too fanciful, you could borrow from Castle Falkenstein's Six-Guns & Sorcery sourcebook or lift some ideas from Deadlands. Maybe American mages, like Hucksters use a different device from wands with the cards. That of course brings us to a more modern era in the New World. What does that look like in the HP universe. You could have a broken community, outside of the influence of the Ministry, a badlands. For a thematically suggestive book on this view, consider Peter Straub's Shadowlands. Perhaps instead there's a kind of corporatist approach to magic there. Imagine research triangle for wizards. In this case I'd borrow liberally from Monday Begins on Saturday and Stanislaw Lem. But I've spun out a little far from my starting point. I think if I wanted to mash up Ars Magica with a Harry Potter game, I'd go with a pretty simple system. I'd borrow the ideas of Ars (research, certamen, the Houses, the magic structures) and put it into something easier like Action Cards, Risus, Savage Worlds, BRP or the like. The important thing would be to get the flavor across, more than the system details. On Saturday we had the character creation and first session of Dave's new Fallout campaign. He opted to use Action Cards to run it, which I'm glad to see. That's our local homebrew rules I've been running for a number of years. Only recently have we had other people using it; Kenny with his excellent HALO adaptation and now Dave with Fallout. I'm not a big Fallout fan- I played some ways into the first PC game, but never followed up on the franchise after that. I know a lot of people love the most recent one and I suspect eventually I'll pick it up cheap to see if I can do it. I'm not an FPS player so I approach those kinds of games with a measure of hesitation. I'm also not so big a fan of Post-Apocalypse gaming. I've played and read quite a bit of it in the day: old Gamma World, Aftermath, and Morrow Project for example. But it never grabbed me. That being said, boy I had an absolute blast at the game. Dave provided an excellent background and some of the other players' enthusiasm for the setting really sold it. I liked my character and everyone else's--and I'd had a hard time coming up with something I thought I'd like. But I'd been thinking about a character concept for a Pathfinder game that didn't happen and ran with that- a particular version of greediness as a flaw. As a GM Dave also pulled out a number of new tricks. Character creation was simple; most of us are pretty familiar with how Action Cards works and Dave had done up some profession suggestions lists. We only had skills, qualities and a flaw to worry about (a total of ten item). We got a couple of raises from our background. Dave had also converted the Perks system from Fallout into a set of interesting abilities and we each began with one. He started us out in medias res, with all of us in an open topped vehicle heading to our “destination” when we suddenly see the white light and mushroom cloud of an explosion off in the distance. We're thrown by the blast wave. We come to in a hospital tent being treated by one of the Fallout factions. They question us which allows Dave to put together a quick GM manifest of our names, backgrounds, etc. We're then wheeled into a room where we're questioned about what happened-- which leads to a flashback several weeks earlier and the real start of the campaign. It was a great linking device and felt like a video game opening sequence. Another clever thing he did i the sequence was to keep us apart and not interacting in that intro-- that way if a PC does die, he can slot the replacement in without it seeming like a continuity violation. That keeps the danger high despite the “final scene” having been shown on screen. Dave supplied a number of other mechanical modifications to the system which suited the game. He opted to go with dice based damage and hit points, which I think works for kind of crunchy, bloody game. Fallout has a thing called VATS which allowed for more specific shots-- he modeled that through the accumulation of VATS points which can be spent on attacks to make a called shot. At the end of the game Dave didn't hand out experience points. Instead, to simulate the kind of random nature of rewards in Fallout, he tossed out a set of hand-made reward cards on to the table. We were allowed to go through, pick one and keep it. As a group we had to negotiate and we can trade these off between sessions. It supplied an excellent, tangible reward and Dave put a lot of effort into putting these together. I also have to mention the radio station. I've often heard guys who've played the game talk about how much they love the radio channel stuff in the game. Dave crafted a radio program ahead of time, with music and everything. He played the short and evocative piece on his phone-- a really nice touch. He used that interlude in the middle of the session to set up background, establish atmosphere, and point us to the key plot threads for the session. It was great. based on the response, he'll have to do one for each session now. Success vs. Success: Attacker rolls under a skill number to determine success. What the attacker needs to roll under for success is on the PC's sheet: a skill number in GURPS, a skill percentage in Call of Cthulhu. In this system, the defender usually gets to make a defense roll if they are aware of the attack. If they succeed, the attack misses. Variations on this system include types of defenses (dodge, parry, blocks) and critical results requiring critical responses. Usually defense skills in these systems are quite a bit lower than the attack skills, but that can vary. Whether the defense action of the defender eats up an action or opportunity varies. Competitive Rolls: Attacker rolls and adds value, trying to hit a static target number. This system has the die roll and total going upwards. If the attacker meets a minimum threshold of success, they hit. The defender then can roll to beat the attacker's total. If they do so, the attack misses. Variations may allow the defender to simply tie the attacker. The level of awareness and action required from the defender may vary. Unisystem uses this mechanic. Storyteller also does so, and there the defense action eat up a player's options. Rolling vs. Target Number: Attacker rolls against a number established by the target. It may be that the attacker has to roll above or below some “Defense Value” set by the defender. Generally this number is a passive factor of speed, armor and skill. Many classic systems use this, HERO System, d20, AD&D, True20, Rolemaster, Storytelling. Generally the defender does not have an active part in the attack resolution process. They may choose options which modify the value necessary to hit them (aborting to a dodge, increasing their parry, activating powers) and so on. These would seem to be the basic forms of combat resolution. Of course there's a good deal of variation to that. For example, a variation of Competitive Rolls has the defender's roll not eliminating the attackers success, but perhaps reducing it. I believe the ORE system functions this way. I'd also point to how time gets measured in combat. I can see three basic break downs. Moment to Moment: Each action taken represents a discrete combat maneuver, a spell, a step-- measured tightly from second to second. GURPS, as an example, sees time in combat in this way. The new Scion and Exalted operate abstractly in this way. Sequences: A turn is considered to be a bundle or set of time. An attack's considered not one particular strike but instead setting up, perhaps some feinting, getting into position, and a series of exchanges. I believe d20 can be seen this way since a turn is something like six seconds. Rolemaster explicitly handles time this way. Storyteller allows multiple actions in a round on a character's turn, so it does this. Scenes: An interesting alternative is the way HeroQuest approaches the combat-- where it is a back and forth competition. There's little in the way of specific maneuvers or action choices. Instead the opponents are locked in a struggle, a combat, with one side working to gain an advantage over the other. When one side has accumulated enough advantage, they win. Time doesn't get measured except where other circumstances force it (like a ticking bomb rolling across the deck). Working on a couple of things for the future. Eventually I want to reboot my Exalted Dragonblooded campaign, but with a different system. We'd been playing with first edition for a couple of years-- and while it functions, there's a lot of mess there. Second Edition Exalted didn't work for me either-- I ran Scion and got a taste of the combat wheel. It functioned decently OK at first and then felt more and more creaky as the campaign rolled on. I read recently about another GM using the exalted-lite demo system to play. I want something more like that- Exalted has a great deal of flavor and tremendous ideas, but I want an easier game. I suspect we'll probably do a version of it using Action Cards. That's going to require some serious work to make the conversion however. The Charm system will have to be reduced and condensed-- focused on the essential aspects to make it easier. I think what I'm going to work on as a stepping stone to that will be an adaptation of Scion. It has something of the same epic feel, but with a small set of secondary mechanics. I have some ideas about how to convert the powers and also some structural changes I want to make to the cards themselves. The other hack I'm thinking about revolves around HeroQuest. I like 95% of that system. Of the two stumbling blacks I have with that game, one's more easily dealt with than the other. I don't like expendable drama points also being experience points so that's easy to fix. However, the other problem lies in the resolution mechanic. HQ uses a d20 for everything. I don't like the smooth curve of that die-- it can really throw a session into wild fits. I'd like a smoother curve, or at least a mechanic which the players don't see as having that same problem. Now I don't want to knock the d20 generally, but the fewer rolls made in a game, the larger the randomness of the d20 appears. And HQ encourages a fairly light approach to rolling. So in order to have HQ feel right to me (and some of the potential players) I need to remove or obscure that smooth curve. HQ operates by a success vs. success comparative system for any conflict. Players have a skill number from 1-20 (and higher, but let's leave that aside) and have to roll under that. Their opposition rolls as well). Results range from critical success (rolling a one), to standard success (making the roll), to standard failure (missing the roll), to critical failure (rolling a 20). The relative level of success is compared, with margins of success breaking ties. In a simple contest, that resolves things. In an extended contest, like combat, the players score point over the course of rounds until one side accumulates enough for victory. The first option is to simply replace the 1d20 with 2d10. This creates a smoother curve, but the system remains pretty much the same. A critical success would be read as a 2 or 3; a critical failure as a 19 or 20. That changes the percent chance for either critical from 5% to 3% which is not that big a shift. There would have to be a couple of other modifications regarding the Masteries as well. On the other hand, some of my players like dice pools. I could shift things in that direction. In such a system, abilities would be rated from 1-10 instead of 1-20. Each point in an ability grants the character a d10. If the player rolls a 10 on any die, they succeed. For comparative successes, the number of 10's would be contrasted. To handle the critical failure/success mechanic, players would have a key die in their pool, always the first one rolled. If the key die shows a 1 then the roll becomes a critical failure. If the key die shows a 10, then it becomes a critical success. I'm not entirely happy with that right now- it seems a little draconic, and puts critical success/failure at a 10% chance. I need to come up with a simple and easily read system which stays close to that 5% line. So Alderac recently held a contest to provide new campaign frames for an upcoming supplement, Imperial Histories. Of course I didn't manage to get an entry put together, but I sketched out a couple of possibilities for myself. One of them I like; the other needs more work. Part of the problem was that I talked myself out of the possibility of success- a stupid move. But I'll also admit to a hefty case of writer's block on this one. I really love Legend of the Five Rings, and although I skipped on Third Edition, I did recently pick up a pristine used copy of the new Fourth Edition. I haven't run or played Legend of the Five Rings for a number of years so that was a little intimidating. Both campaign frames I came up with need some more work and crunchy thinking-- not in mechanics but background implications. So today I present the first of those two frames, in a very sketchy and loose format. I'll try to translate a little for non-L5R people as well. Ful Leng nearly won. The Thunders failed to draw themselves together- recriminations and fears too great for them to overcome. Togashi, one of the kami hidden so long among the mortals, had seen this far and no farther. Now he lay broken by his brother Fu Leng and all of Rokugan would fall into a Thousand Years of Night. His oracular vision ended here, but his planning had not. The Thunders might have won but if they did not, the once-proud Dragon had a terrible and awful plan. It had been the words of Bayushi Shoju which had planted the seed in Togashi's mind. The lord of the Scorpion had seen through his disguise, visiting the Dragon Champion just before the Scorpion Clan Coup. Shoju had spoken, but Togashi had cloaked himself in silence and stillness until the Scorpion made to leave. Shoju spoke his parting words, a final gambit. “You understand, of course, that all of this is your fault. You and your sisters and brothers, for Fu Leng is, like you, a kami. Your family offered a dangerous gift to we mortals...but they perhaps did not speak so clearly of the cost.” Togashi had nodded despite himself. Bayushi Shoju had been right, and now, with the heroes scattered around him and Fu Leng preparing to ascend in the Emperor's body, only one option remained. It was a spell, The Last Spell- and no one would ever know how he did it. He spoke the words quietly. There was no great fire, no pyrotechnics, no roar of victory. Instead suddenly across Rokugan, across the world, the land grew dimmer, colder, paler. To save the Empire they destroyed magic-- now heroes must choose to quest for its return or fight those who seek its rebirth. The land of Rokugan has seen the vanishing of the kami large and small. And with them, they have taken the very force of magic in nearly all forms from the land. Even sorcery practiced which seemed not outside the kami have been destroyed or reduced to tricks and cantrips. The few potent forces lie in the hands who care little for the cost, Blood Magic and Taint-fueled conjurings. Many seek to contact or recall the kami, but the other realms now stand beyond reach. The mortal world of Ningen-Do has be closed and barricaded against those places. The balance of power has shifted and into that vacuum new heroes have had to step forward in a Empire without and Emperor. The events of the Second Day of Thunder and the crisis which follows shift the balance of power within the Empire. The leaders of many clans lay dead and the line of the Hantei has been destroyed. The Grey Crane, Kakita Toshimoko, calls back the Scorpion from exile, as much to preserve some balance as anything. This earns him the enmity of his Crane family. The Miya step forward to establish an interim regency, protector of the throne while the records are scoured for the possibility of some heir who might be recognized. Years pass in rebuilding and adjustment, with the power of shugenja and magic no longer a factor. Now the time of waiting has ended and the Clans have begun to rumble with rumors of war and a call for a new emperor to sit upon the throne. The Phoenix suffer perhaps the greatest loss in with the coming of the Pale World. Still their religious focus gives them a place. However, a the vanishing of the kami begins to create a split in the faith between the Tao, the Fortunes, and the worship of the kami. The Asako continue to press on with their researches in hopes of finding a path to magic there. Of course the Phoenix remain the ones most desperately searching out for a return to the old ways. That means they will place agents wherever those secrets might be found. It also means a terrible rift between them and their neighbors, the Dragons. The Dragon find themselves accused of having saved and destroyed the world at the same time. They have lost nearly all of their leadership. The ize zumi find their magical tattoos rendered powerful and even the kihos of the Monks become useless, except for a few driven by will and skill. They find themselves strangely allied with the Scorpion who also find themselves marginalized by Clans who have managed to retain some power. The Lion and the Crane, traditional enemies, have been most active n courting allies for a coming duel over leadership of the Empire. Neither relied strongly on the power of their shugenja, and so managed to move forward without too much damage. Likewise the Mantis have become a force to be reckoned with, although the loss of their mastery of wave and water magics has meant more ships lost and more dangers to crews from the leviathans who remain patrolling the sea. The Crab find themselves still pressed by the Shadowlands. While they relied on brute muscle and force to survive, the vanishing of the kami's powers has made their lives more dangerous. Systems for warnings, treatments for injuries, the calming of the mind-- all of these techniques have been lost. While the Shadowlands retreated for a time, giving the Crab a chance to recover from their corruption, new rumblings have begun. The Kuni have turned to more scientific practices, some in violation of codes and mores. They've kept these and their delving into practical alchemy a secret from outsiders. The Unicorn alone of the clans possess something which might be called magic, drawn from the arts they learned in the Burning Sands and beyond. They have been careful to keep these arts secret-- although this has caused a great debate among their leaders. The modest magics they possess are simple arts and a few basic tricks. The kami's absence diminished these powers, but did not extinguish them completely. On the other hand, the Naga fell into a deep slumber awaiting the return of those spirits. This would probably take the most work to rework. I imagine there being a kind of generic 'priest' school, which must have social, ritual and support features to it. Those abilities might differ somewhat from clan to clan. I also imagine we would have a new version of the monk with significantly reduced kihos. These would be more focus and mental abilities rather than any kind of elemental magic. There might be new schools for a Isawa Seeker, one who searches for magical secrets. On the flip side we might also have a Witch Hunter who not only seeks out Bloodspeakers, but also pursues those trying to bring back magic in general (see the campaign frames below). I can imagine a Kuni Alchemist (in the classic sense) and an Iuchi Spellcrafter; the former would have access to medicine and potions the latter to some very modest magical abilities which would have to be invested in items. We might get a more classic ninja path available to the Scorpion with the vanishing of Shadow Magic; the Phoenix might also get a spy-type character. Finally another option which might be interesting would be a charlatan or illusionist-type character who fakes magical talents through trickery. In the Pale World magic of all kinds has vanished. Consider that this means a number of important factors have been removed from the game: magic as a battlefield force; travel via magic; long-distance communications; magical healing; scrying; and a host of other things. I'm going to guess that one issue some L5R purists might have would be the question of how the removal of the kami would affect all magic. It think that's purely a conceit for this world. I don't claim to be presenting an accurate version of the magical cosmology, but I do think it is a workable one-- and one which suggests an interesting situation. Standard Magic: In this version, only the Iuchi possess anything resembling previous magic and that should be a) not very powerful b) somewhat secret and c) based on investing magic into objects. Odd Magics: Shadow Magic has vanished, along with some of the other variant abilities used by the Asako, the Asahina, the Nezumi, the Kitsu and so on. Kihos: These are, for the most part, gone. A revised list would pare these down to abilities which might reflect martial training and powers of concentration-- meta-human abilities, but still not magic. Bloodspeaker Magic: The Bloodspeakers would be reduced, but I'm thinking a kind of magic fueled by sacrifice might provide an interesting set of adversaries for such a campaign. These would be more literal witches and warlocks in a world without magic. Rituals for the Bloodspeakers would not be easy and some classic things they would lose (no easy zombies for exmaple) but they could remain a potent threat. The Shadowlands: With the other realms cut off, there will be no new oni coming through. However, oni in this world will remain here. I imagine that when they die they will be reborn, weaker, until they can regain their strength. Shadowlands creatures can perform “magical” effects but it taxes them. I imagine they feed on Shadowlands Taint and use it to power them. Such use doesn't remove the taint, but makes it stale or weaker. So creatures like this need freshly tainted creatures and souls to make themselves more powerful. An important consideration is if those who can “detect” Shadowlands taint through non-magic means (like the Hiruma Scouts) might have a harder time detecting older or less recent taint, creating some interesting play implications. Shadowlands: While reduced in power and at the moment leaderless, the Shadowlands remains a threat. Some seeking power might not understand where that power comes from; desperate Isawa might be ready targets for the corruption. While taint isn't destroyed for the creatures of the Shadowlands, it does need to be refreshed-- the spread taint more filling and delicious to them. I can imagine them cultivating the force of the Taint. Bloodspeakers: A dark threat in the heart of the Empire. Non-Shadowlands Monsters: There might be some races like the Tengu, Nezumi and the like who might take advantage of the lack of magical resources and relative disruption to act. Other things like the great sea creatures and bigger things would be more dangerous when the people of Rokugani have to face them only with conventional means. The Kolat: While I personally don't like them as a game element, the vanishing of the kami would seem to be the success the Kolat desire. However it also meant the vanishing of some of their best techniques and powers. They might fall into a battle amongst themselves which might spill over elsewhere. Gaijin: Depending on the GM's desires, forces from the Burning Sands or from the awful Southern Islands might take advantage of the Empires weakness. While their magic would be diminished as well, perhaps they possess some secrets and ways which would act like spells. This set up invites a number of campaign options. While the narrative I present above puts the change at the Second Day of Thunder, this could shifted to an earlier or later period. Perhaps Bayushi Shoju found another way to fight against Fu Leng, banishing magic before the Clan Wars even began. That would result in an Empire with a strong Scorpion and several other clans weakened (Dragon and Phoenix). It would also leave open the possibility for another interpretation of the various prophecies about the Emperor and the last Lion. As another option, perhaps the Spirit War forced shugenja to desperately search for an option, unleashing powers they did not understand with horrific consequences. Or in more recent events, perhaps the Jade Dragon's challenge extended further-- mankind would no longer interfere in the heavens, and the kami would be severed from the mortal world of Ningen-do. Rokugan has faced many “game-changing” story arcs and these events could come at the end of any of them. GMs might also consider having the events leading to the Pale World occur as the climax of an campaign. Perhaps the players themselves might be given the choice between several bad options to keep the Empire intact and preserve humanity. The samurai genre has a strong sub-theme of sacrifice and tragic decisions. A GM would have to give careful consideration to shugenja characters in the party, but the possibility of having control over such momentous events could be worth it for play. Assuming the GM wants to run the Pale World as it stands, consideration would have to be given to how long this state has existed. The narrative above suggests a decade or two. That gives time for the situation to have settled but also keeps things within recent memory. A campaign occurring further down the timeline from these events might have kami magic treated more as superstition or a fearful thing. The GM needs to decide how much those events matter to the campaign being run; is the Pale World simply a way to have a low-magic L5R campaign or will the question of magic be central. If the latter, then two paths suggest themselves. First, the Search for Secret campaign. In this case the linking plot for the PCs (or even just some of the PCs) would be a search for the secret of bringing the kami back into the world. They could explore the few magics that seemingly have some effect, trace the methods used in the original banishment, or perhaps quest for an entirely new means. Depending on ambition, the GM might use this as a chance to retool the L5R magic system and cosmology. Second, the Guardians Against the Return campaign. This flips the first campaign over as the PCs try to stop those unraveling the secrets of magic. While some might simply wish to maintain the status quo, others might have a more honorable agenda. The return of the kami might mean the return of Fu Leng and who knows what other dark powers. The party would keep safe a world unprepared for a magical onslaught. Comments or suggestions, especially from those who know L5R well, are welcome. So I managed to get done 30 rpg reviews in October; about four of those ended up below 1000 words-- most hit between 1100 and 1200. Here's my original plan and review bias statement. In doing the reviews this month, I picked up a few things and made a couple of decisions. I reread all of my Changeling the Lost material. It was interesting to spot how many things I'd missed on the first read-through and how much had stuck in my head without my realizing it. I'd dropped a few plot threads into the campaign that I knew had come from somewhere, but I couldn't place where. Going through the sourcebooks, I spotted them. I also recognized how much cooler Changeling is as a concept, as background material, as fluff, as story within those books...than it actually is when you bear down and look at the mechanics. Those rules seem written to impose restraints and require look-ups for anything interesting. All of the individual clauses of the contracts have distinct mechanics and effects for the differing levels of success. That's emblematic of the game's basic problems with its engine. I'm a little surprised that White Wolf went in such a crunch direction with the material for the new World of Darkness. I wonder what would have happened if they did a much more narrative-focus version of their game. I bet they'd have a harder time coming up with all of the splat books. There's a certain market push to having specific numbers and details- rules which each player has to buy. All that being said, I think just based on ideas, Changeling the Lost's one of the best pre-made settings and concepts out there. If I end up running Rome, I suspect I'll have to approach through from a back door. It will have to be Roman-inspired fantasy. I mentioned my two ideas for a campaign early on and I suspect the Lunar one, borrowing from Glorantha will be the most likely. Some people who write game materials have an unexpected approach. When I'm reading, I'm looking for how this material will look at the table. Some sourcebooks end up spending too much time providing the logic and the backdrop. As a GM I do want to have a good hold on the background so that I can logically and consistently improvise at the table. But I also want things which will directly affect play and provide plots and stories for my players. It think there's a balance which has to be struck. It's common sense but sourcebooks which cover a narrower period or aspect of history do a better job at coverage and accuracy. I think covering a classic period and then providing a section discussing differences in a few others might be a reasonable compromise. And most importantly the authors need to recognize they're writing a book for a game which will be played, and likely not be played by people with a serious grounding in the history. Gene's provided me with an outline for a particularly interesting Roman period which has some appeal. If I did do a Alt History version of Rome, I'd probably borrow most from Cthulhu Invictus and Fulminata- perhaps with more steampunk or archaic tech to it. I don't know. 3. Should I Marry Gumshoe? I still really like Gumshoe, despite the negative reaction of our group to the standard action resolution system. I'll probably go back to tweak that before we play next; perhaps hunt around for some other people's reactions. I want to make sure I've handled that system correctly. There's a ton of great stuff there and if I go to run Cthulhu or horror again, I know I'm going to have to use The Armitage Files. That concepts just too good to pass up. I also have in my head at least one big new campaign frame using Gumshoe. I like the Quade diagram from Mutant City Blues and I'd like to consider how it might be applied to a game with magic. I can't settle on a frame yet however. The distinct flavors of different cultures might mean that it could work for a Roman game; or I could do something Victoriana like the Lord Darcy but with magic being a little more present; or I could go even more classic and have the PCs as city guard having to investigate cases. I like the idea of a spell-slinging version of the 87th Precinct novels. I didn't get to everything I wanted to. I started working on notes for reading review of some of the Vincent Baker games, but I realized I'd need play those before actually saying anything about them. They're really interesting and certainly spark ideas for me. I missed a few others I'd hoped to write about: some freebie games, Summerland, Zorcerer of Zo, and the above-mentioned Orpheus for example. I also wanted to do a Castle Falkenstein overview, but didn't get to that. So October is done, and I'll move back to a three a week schedule, probably MWF since the numbers drop off on the weekends. I'm going to try to do a review a week, probably on Friday. I'll certainly entertain ideas for topic or things to review as people might have them (unlikely as its a pretty small blog). My other project is going to be a variation on NoWriPro or whatever it is called. Besides my other work, I'm going to set myself a goal of 1000 words new or 2000 words revised each day for our homebrew Action Cards. I really want to have a fully developed version of 3.0 of this by the end of the year. Exploration of Goblin Markets in Changeling the Lost. A short review today, and number 30 if I count the mini-reviews for Edge of Midnight as three separate items...which I will. So October almost over, Happy Halloween. Goblin Markets is the last publication in the Changeling the Lost line. 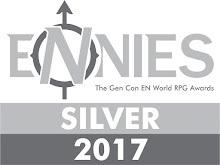 At first I was a little sad to see this game go, but its become clear that most of the new World of Darkness will be reaching the same tepid conclusion. With a switch to a digital, non-print strategy and a focus on an MMORPG based in the old World of Darkness, I think we can expect diminishing output. 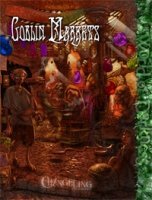 This is doubly bad because the last several Changeling supplements have all had some great material, and Goblin Markets points to a way the line could continue; not with full books, but with substantial and interesting explorations of different topics. Goblin Markets, of course, deals with the classic magical markets which exist at the margins of the hedge. Hellboy II, of course had the best and most vivid example, but DC Comics' Books of Magic also has a tour of one. Harry Potter's Diagon Alley owes more than a little to that atmosphere of nervous worry over magical sales. It might be worth considering Stephen King's Needful Things as another great example. So this pdf-only supplement sets out to provide some further discussion of the topic previously hinted at in the books. It does but up against some of the earlier depictions of the Hobs- leaning more towards them as organized and societal. The material here is presented with White Wolf's Storytelling Adventure System, a rule-lite approach to allow it to be easily ported around. The pdf itself is 49 pages long; 9 of which are fluff text, full-page illos or ToC. The first chapter sets out the basics of how such markets work and most importantly for play, how they interact with changelings and the Freeholds. It actually provides some nice depth to the interplay in that the Courts have to tolerate the existence of the Goblin Markets or risk them vanishing or even acting against them. That balance has a number of story ideas in it. There's a nice discussion about the “goblins” themselves which adds new depth and gives the GM some new tools for adversaries and allies. The chapter also discusses the layout, rules and types of Goblin Markets which might exist. There are some brief but inspiring examples. I suspect GMs will only ever use one of these, but I also like the idea of battling Goblin Markets. The second chapter talks about the kinds of things which might be found in the market-- for hedgespun to tokens to Goblin Contracts. I especially like the idea of the geegaws and tiny devices which have only a modest ability or strange effect. I'd buy a pdf of just ideas for things like these 0-dot tokens. Of course other more dangerous things can be bought and traded in the market- abstractions, slaves and even destinies. There's some discussion of how to handle bargains, trades and costs. GMs will have to take a look over this carefully. Do you want to allow players to simply spend points or should there just be a narrative to get something- or some combination of the two. Of course the kinds of bargains and items found here can spark new stories in a chronicle. The discussion here covers a lot of ground- there's little wasted space. The last chapter presents some plot hooks, NPCs and story ideas. The storyteller characters here are generally pretty interesting and imaginative. There are a couple that didn't immediately grab, but most cooked up plots on first read. I would have liked perhaps some suggestions for hooks with those characters. Those details are useful for a GM offering more ideas about how to integrate them into the game. I appreciate the suggestions for how to role-play the NPCs, but it seems less useful. After the NPCs the book offers two quick scenario hooks (perhaps a page each) using the Storyteller Adventure System layout. They're OK, but feel a little tacked on. A Goblin Market's an interesting site to drop into any game of the fantastic. The basic premise is fairly universal. This book offers some ideas which could be easily exported elsewhere. For GMs looking to convert Changeling as a whole to another system, there's little work which would have to be done for this. It's kind of sad to see the last supplement in a game line. I have a fondness for something being complete, but at the same time it seems like there still exist interesting aspects which could be developed. Goblin Market's a nice showcase for how they could have moved forward. Overall it is a decent book and a solid purchase for any Changeling GM. Changeling the Lost remains for me the most accessible and interesting of the new World of Darkness line. It offers characters trying to overcome their wounds finding their place in the world. That's certainly my take on it, but it also offers entry into a more fantastic setting- depending on how one wishes to take it. The characters could be involved in Courtly matters or could be avengers against the Gentry who stole them. I can see such campaigns feeling very different, but equally interesting. I know it has been some time and I'm a little loathe to contact you, but now I know I have to warn you. I didn't take you perhaps as seriously as I should have the first time, but now it has returned. I remember reading about it years ago when it first came out. Translated from the Polish someone said, a game unlike any other. Then within an hour of my curiosity being piqued you sent me an email. Would I like to try playing a new game you'd found, De Profundis? At the time I took it for an amusing coincidence, but now I see that it wasn't that. The book had plans. Our abortive attempt to play it, with only a few letters exchanged between us- that was the damnable thing laying a seed inside our heads. Perhaps it could not fully bring itself forth into our world yet. Perhaps the stars were not right. I fear that they are in alignment now. For now there comes a second edition of this game-- more extensive and more dangerous. At this point I'm certain that you will be shaking your head. The last time I spoke with you about De Profundis you looked at me as if I was mad. You claimed you'd never played such a game, never even heard of it. It had made you forget, but I remembered to an unknown purpose. Please believe me that you have played-- perhaps in my describing it again, a recollection might stir. 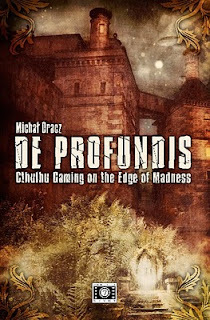 De Profundis is a role-playing game, though saying that may be stretching the definition. Certainly there are those who would not recognize it as such: it lacks a gamemaster (though perhaps there might be an organizing force...), a conventional play structure or even a resolution system. Instead it is closer to the shared narrative of something like Baron Munchausen or Fiasco. You may dismiss that out of hand and perhaps if you do so you might be the better for it. But let us assume that you are intrigued and wondering what kind of a 'game' this might actually be. Maybe you've started to recall our earlier encounter with it. Or perhaps not. It styles itself as a psychodrama, an odd term. In that it suggests that the players, the participants as the book terms them, will not necessarily explore a plot-driven story. Instead they will carry out the exploration and reflective dissection of the character they decide to take on. That exploration comes through the exchange of letters, missives, notes and perhaps even ephemera. In this it resembles the style of Stoker's Dracula, that novel built from correspondence, annotations and fictitious news clippings. For a more modern version one has to look to something like Griffin & Sabine or even House of Leaves. Of course we argued over that latter book before, whether it exists as a true book or dread or simply executes a literary magic trick. But the real precursor, the spiritual and explicit grandfather of De Profundis is the work of H.P. Lovecraft. In that sense, it is another Call of Cthulhu game, but very different. It stakes itself on discovery, rather than investigation. As a game format, it could feed on any genre-- but somehow this is more appropriate. And I suspect De Profundis has its own ideas for why the Lovecraftian Mythos must be at the core. One can play oneself, select an old Call of Cthulhu character, or even chose someone from one of the original HPL stories. That selection merely sets the scene and the background; no one has a character sheet as such. What's important is the persona they inhabit in the play of this psychodrama. The 'rules', such as they are, provide guidelines and suggestions for how to carry out and support the mood of such play. Some might dismiss the game as simply a fancified forum thread: an exchange of letters form the narrative. It could be that, I suspect, but the text provides keys for other paths. Methods for establishing timelessness, for marking play, for the physical nature of the game carried out in actual parchment, action versus experience...all of these things. Though it may seem like a passive game, there exists a passive and an active position in the play it discusses. You might be a subject without even being aware of it. The language of the book itself draws the reader in. As I warned you...I did warn you, didn't I?...De Profundis plays with you even as it reveals its secrets. I'm sorry, I thought I heard something, but it was only the rustling of the pages. I purchased this game on pdf, but somehow everywhere I look, out of the corner of my eye I see it. It seems to have bled into my thinking about other games. I must put my copy of The Armitage Files down in the basement where it will be secure. Where was I? Yes-- De Profundis wants to be larger, wants to be used. The Lovecraft connections reveals its true heritage, but it could easily infect other genres: fantasy, the mythic, historical...all could fall victim. I suggests that such a play could be used to complement an on-going tabletop game- to provide another perspective. There-- you see how it tries to extend its tendrils? The vivid examples of play at the end of the book stay with me even now-- creating more ideas for bringing De Profundis into the world. I even suggests how one might use this in an electronic medium without losing the atmosphere...reaching a broader audience. Which is what it wants...I see that now. Buy it now on RPG Now.